Large & inviting 3-bedroom, 2.5 bath corner unit with floor to ceiling windows, Brazilian Cherry flooring, large entry foyer and living/dining room with gas fireplace. Master bedroom suite with two large closets and marble bath with soaking tub. The open Chefs kitchen with Viking Range, Subzero Refrigerator, GE Advantium microwave/convection oven and GE Monogram Dishwasher flows into the living space. As a tenant in the Lofts, you are entitled to enjoy full access to the amenities of Trump Tower at City Center: 24 hr. concierge, doorman, security, valet parking, indoor pool and spa, renovated residents lounge, tots playroom & business center. Outdoors is the famous Trump recreation deck w/large pool, 2 tennis courts, basketball court, picnic tables w/BBQ grills, playground & putting green. Parking (valet) fee is $200 per month. Storage is available at an additional cost. 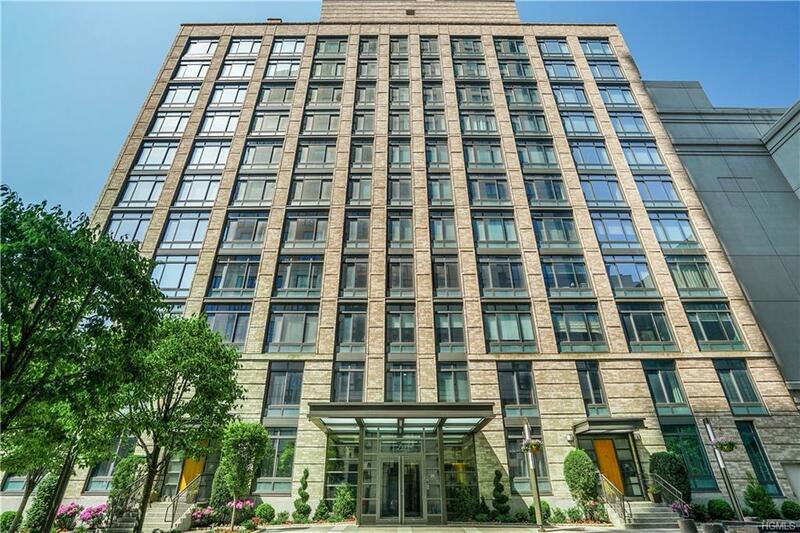 Close to movies, restaurants, shops and Metro North - only 32 minutes to Grand Central Station. Blinds are as is.